Marijuana legalization debates continue to ramp up on the floor of the state legislature, and the latest bill to be introduced is by far the most progressive to date. We previously posted an article about the introduction of Maryland Senate Bill 297, which dealt with the decriminalization of the popular drug. The most recent bill though takes Senator Zirkin’s proposal one step further, and calls for outright legalization of marijuana for recreational use. The new bill is nearly identical to the laws that were recently passed in Colorado and Washington. If passed into law, it would allow citizens over the age of 21 to possess one ounce or less of marijuana, and additionally to grow up to three plants in their homes. 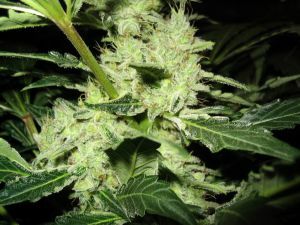 The current state law makes it illegal for anyone to possess even a residue amount of the plant, and violators face up to 90 days in jail for having 10 grams or less, and up to a year for possessing more than 10 grams. The new legalization bill is hardly as simple as calling off law enforcement for any recreational pot smoker. There are various financial and logistical conditions that must be satisfied before any Marylander can begin growing and smoking their own stash. First, the bill includes a $50 tax for each ounce a person possesses. There is also a proposed fee of $100 for each plant grown within the confines of a person’s home. The fee would be administered in the form of a one-time use tag that must be affixed to each plant. The ties will be valid for one calendar year, and expire after each plant is harvested. It is not entirely clear how law enforcement or a new or current state regulatory agency, such as the State Comptroller’s Office, would enforce these financial conditions, and it would likely take years to administer the policies in an efficient manner. If the bill is passed, we can count on the formation of some sort of specific agency, with endless possible titles that could include the MMA (Maryland Marijuana Agency), or the MMEA for enforcement agency. Some of the greatest concerns over legalization include smoking in public, and driving while under the influence of the drug. Under the proposed bill though, passing a joint around on the street, in a park, or any other public place would still be illegal. As would smoking while in the car or driving under the influence of THC. In sum, the restrictions on smoking pot would be highly similar to the current restrictions on alcohol consumption. You currently can’t drink and drive, possess an open container in a car, or drink out in public in Maryland, so there would be little confusion over the do’s and don’ts of marijuana consumption. In certain enclosed outdoor areas where drinking is allowed, such as the Power Plant Live in Baltimore, smoking would almost certainly be prohibited. The bill also includes provisions that would earmark some of the revenue generated from the pot taxes toward drug and tobacco education and prevention programs. The Herbst Firm will update with another blog entry as the progress of this bill and other marijuana bills unfolds. Benjamin Herbst is a drug possession lawyer who represents criminal defendants in all Maryland jurisdictions. 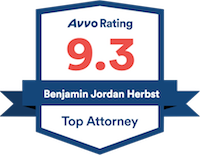 Contact Mr. Herbst today for a free consultation about your case.